Welcome to Author Spotlights on Mondays! Tia Catalina, another great friend and brand new author from my local RWA chapter, is my guest this week. 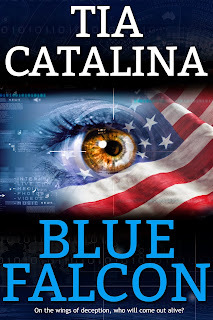 She's sharing a peek at her romantic suspense novel, Blue Falcon, and a bit of insight into her writing process. Be sure to comment for a chance to win a copy! Devastated by her combat experiences, former Marine Grace Garcia is unable to adjust to civilian life until a wayward postcard sends her on a mission that places her in the path of Jared Cooper, the new Special Agent in Charge of the Phoenix ATF. With a new job and a new daughter, Jared has no interest in a new relationship, but when seemingly unrelated events result in a dangerous threat to their lives, he offers Grace refuge. When witnesses and suspects die before they can talk, Jared becomes convinced the threats are originating close to home, but the perpetrator is always one step ahead as he searches for answers. As the stakes get higher, can Grace once again embrace her warrior past? Caught in a nest of deception, can Jared unravel the lies to find the truth before another life slips away? The truth lies in uncovering the elusive Blue Falcon. The ER doc released me, but nobody was waiting to take me home. When I tried to check on Rafael, the Phoenix PD blocked my path, but they didn’t attempt to arrest me. By the time the taxi let me out at Jared’s house, I felt the same way I did when I returned from my last tour. I acknowledged her request with a nod. I tripped over one of Hope’s dolls—a reminder she was just here, but now she’s gone. Her absence left footprints on my battle-weary soul. I threw together the basics: my packed duffel, Jared’s .44 Mag, and a sack full of snack foods. The pantry and fridge provided me with a few more staples, but I left the healthier homemade food and concentrated on the cheap junk food. Despair is better when paired with fat and sprinkled with sugar. Con padded along behind me as I walked to the workshop. “Stay.” Pity parties have room for only one. He insisted on joining me. I changed into something more suitable for my festivities and sat down on the cot. Con nudged my elbow until I allowed him to rest his head in my lap. His physical presence provided some level of comfort. Banishment to the confines of the workshop proved too much for my overwhelming guilt. The isolation fed my profound grief. I embraced the darkness. Potato chips consoled me as I dug my way to the bottom of the bag. When I completed my excavation, I exchanged them for a bag of miniature chocolate bars. Not satisfied, I contemplated my other delicacies. The decision stymied me. Life is full of tough choices. Cookies or cupcakes? Save Rafael from bleeding out, or go after Hope? Tia: I do see writing as a career. It isn’t something you just sit down and do. I spent a considerable amount of time taking online classes, attending seminars and workshops. Writing is one of the hardest things I have ever done. I would not have been able to accomplish a complete manuscript without the help of numerous people within the writing community. It really does take a village. Tia: Grace is fighter and her Macgyver abilities enable her to adapt to her surroundings. She can make a weapon out of trash and old tools and get grass to grow using instant tea. She thinks she has given up on life, but she has an enduring spirit that won’t allow her to quit. Blue Falcon is military lingo. It means something specific and it is a theme throughout the book. If I revealed what it meant it would be a huge spoiler, but feel free to look it up. Me: What’s your favorite sub-genre (contemporary, sci-fi, etc.) to write? To read? To read and to write would be mysteries and thrillers. I am also a fan of horror. There is nothing like curling up with a Dean Koontz or Stephen King novel and reading until you feel the urge to check all of the locks on the windows and doors. Tia: I usually have an epiphany while I’m on the treadmill or walking my dog. I put recipe cards and pens in my purse, in the drink holders of the treadmill, and in the car. I keep a notebook handy while I’m watching TV. Tia: While I don’t write series, I do write strong, independent women who know how to take care of themselves. My current work in progress is Sweet & Savage. Annie Sweet grew up in foster care and has no known relatives, but someone from her past wants her dead. Luke Savage is a local firefighter who fights to protect her from a serial arsonist who is determined to torch her happiness. Having been self-employed for most of her adult life, Tia decided several years ago to make a change. 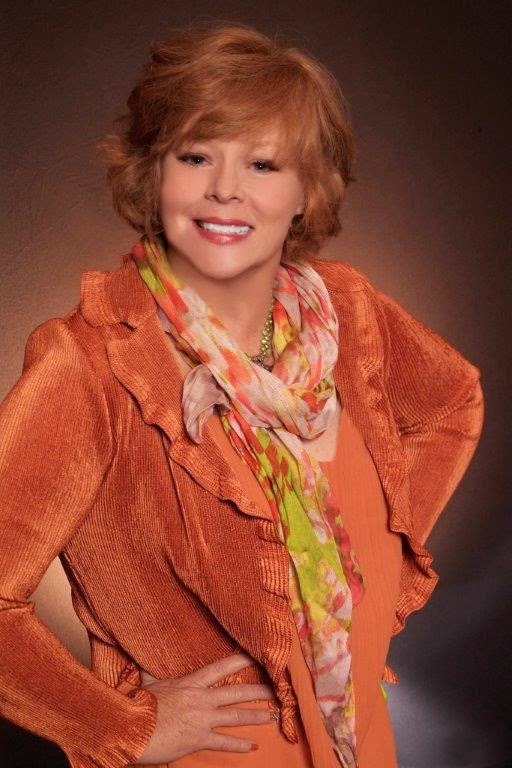 She joined the Indiana chapter of the Romance Writers of America and the national Sisters in Crime. She lives in central Indiana with her husband and a spoiled pooch named Brandolina Jolie, or something not fit for print when the dog is chewing on the downspouts and digging up the landscaping. Thanks for visiting today, Tia, and thanks to those of you who stopped by for look! 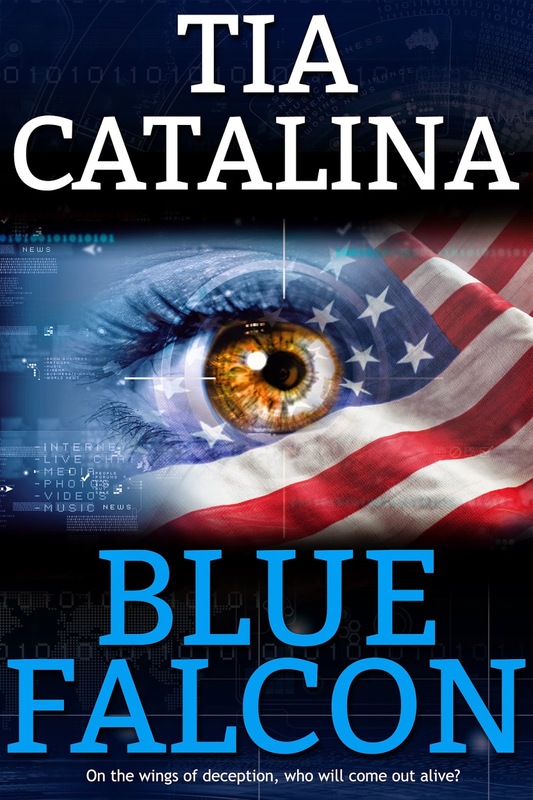 Remember to comment by midnight EDT on Wednesday, September 24, for a chance to win a copy of Blue Falcon! Can't wait for a paperback copy.